Largest lantern festival in U.S. makes its DFW debut at Lone Star Park in Grand Prairie, TX. People Generation, Inc., a Houston-based event production company, has announced the expansion of Magical Winter Lights ®, Houston’s annual lantern festival, and holiday celebration, to the Dallas-Fort Worth metroplex in partnership with Lone Star Park in Grand Prairie, TX. After garnering much success in Houston, the premier lantern festival has become one of the largest holiday events in the Greater Houston area and the largest lantern festival of its kind to have taken place in the U.S. 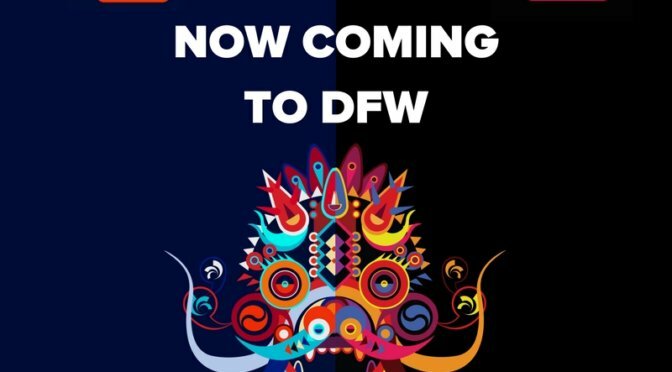 The DFW festival will be held from Nov. 17, 2017 to Jan. 7, 2018 including major holidays such as Thanksgiving, Christmas Eve, Christmas Day, New Year’s Eve, and New Year’s Day. Magical Winter Lights is unlike any other holiday lighting event to take place in the Dallas-Fort Worth area. The festival bases its designs from Chinese lanterns and transforms them into larger-than-life remakes of well-known landmarks. The lantern festival embraces more than just the Chinese cultural elements by also creating lantern designs that speak to the local audience. The 2017 festival will feature several themed sections including Magical Wonderland, Christmas Candy Land, The Lone Star State, Dinosaur Land and Mystery of the East. The Dallas-Ft. Worth Magical Winter Lights will specifically include an entrance castle lantern inspired by the Dallas County Courthouse, a giant cowboy, and Dallas’ iconic Pegasus. Lone Star Park offers the event a prime location for easy accessibility for the residents of the Dallas-Fort Worth metroplex. In addition to the lantern attraction, Magical Winter Lights Dallas-Fort Worth will offer daily Chinese acrobatic performances (included in admission), dinosaur rides for children and a full-size food court. For information and updates regarding the 2017 Magical Winter Lights – DFW, please visit www.magicalwinterlights.com/dfw or follow MWL on Facebook at www.facebook.com/magicalwinterlightsdfw. I can’t wait. This is going to be great for our community. I’m taking my kids, grandkids, brother, sister, mom, everyone.